Diron supply quality new replace cat oil seal for customers. cat oil seal is often used in the construction machinery part of the planetary reducer, the component end of the dynamic sealing. Due to its high reliability, in recent years it is also used as a dredger bucket wheel output shaft dynamic seal. Such seals are mechanical seals. Generally it consists of ferrous alloy material floating ring and supporting the nitrile rubber O-ring composition. The floating ring is used in pairs, one rotates with the rotating part, and one is relatively stationary. Floating oil seal sealing principle is: two floating rings by O-ring by the axial compression of the deformation, resulting in the compression force the end of the floating ring seal. With the uniform wear of the sealing end face, this elastic energy stored by the O-ring is gradually released, thus acting as an axial compensation. In the set time to maintain a good sealing surface, the general seal life of more than 4000h. 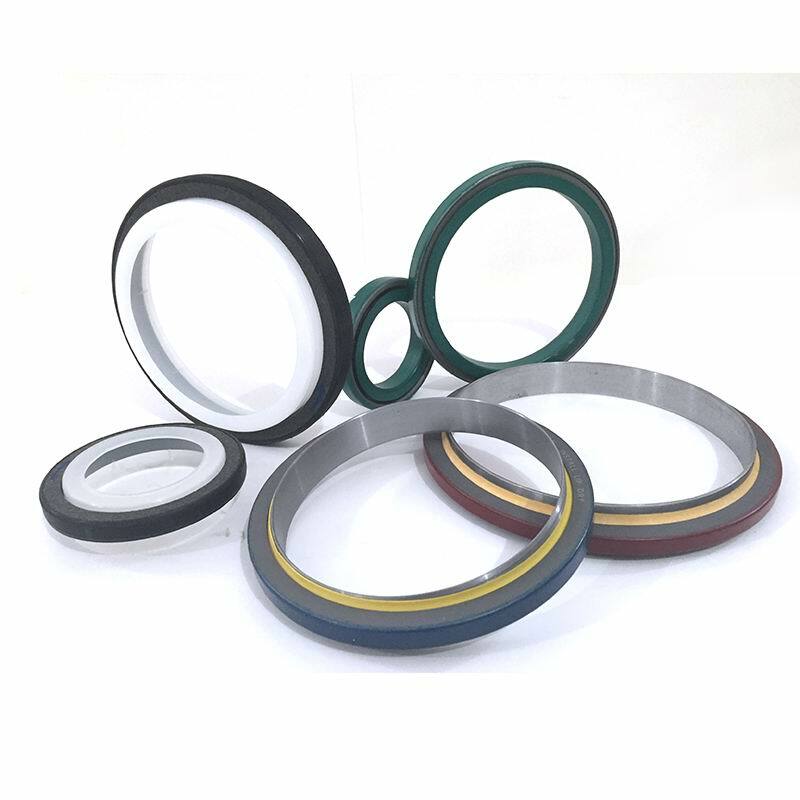 Floating oil seal is a special type of mechanical seal, and it is to adapt to the harsh working environment and developed a compact mechanical seal. It has the advantages of strong anti-pollution ability, wear resistance, impact resistance, reliable work, automatic wear of end face, simple structure, etc. It is the most common application in engineering machinery products.